With the 10th anniversary themed issue of OBC now online we thought we would share with you a couple of the other cover suggestions that were put forward by authors for this issue. Below is the rather striking suggestion from Brimble et al. 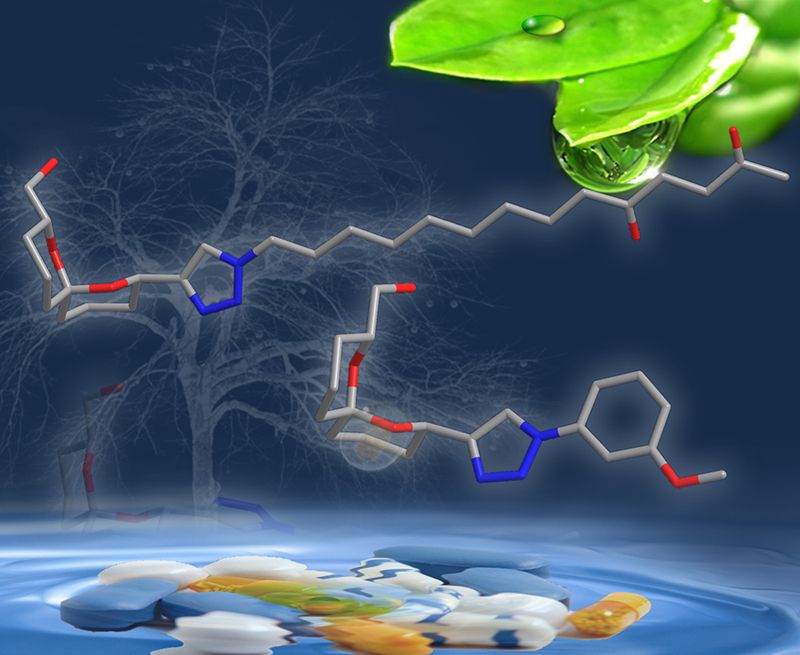 The tree and leaves represent nature, and its dew, superimposed with their spiroacetal-triazoles, drops into a pool of tablets representing the development of new therapeutic agents. This second suggestion comes from Luh et al., featuring a decameric ladderphane in recognition of the 10 years that OBC has been published. Now you’ve seen the art, why not see the science? View the entire issue, featuring 68 articles from the breadth of OBC‘s scope by leaders in the field! Organic & Biomolecular Chemistry 10th anniversary themed issue now online: 68 great articles! The 10th anniversary issue of OBC has arrived! This celebratory issue contains a massive 68 articles of great science from investigators at the forefront of current research. View the entire issue here…. Also geared towards celebrating our 10th anniversary is this inside cover from Naoki Komatsu et al., which highlights their paper reporting on the optical enrichment of single-walled carbon nanotubes (SWNTs) with (n,m) other than those so far reported, together with their simultaneous separation according to their diameters by preferential extraction of commercial SWNTs with 2,6-pyridylene-bridged chiral diporphyrin nanotweezers. In an issue packed with work from some of the best researches around there was always going to be a lot of HOT articles included, too many to list here. So, for the complete list of the HOT articles from this issue please have a look at our recent blog highlighting them. Finally, the entire Organic & Biomolecular Chemistry team we would like to thank all of our Associate Editors, Editorial and Advisory Board members, authors and referees, without whom none of this past decade would have been possible, and we hope to work with you all to make the next 10 years even more successful. 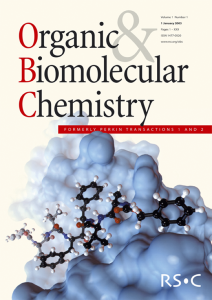 After much anticipation the themed issue marking the 10th anniversary of Organic & Biomolecular Chemistry will be published this week, and it’s a bumper issue full of work from many at the forefront of current research who have continued contribute to the success of OBC over the past decade. Ahead of the issue’s publication we have prepared a FREE collection of all the HOT articles that can be found within its covers, and considering all the talent that has contributed it is quite a big collection. These will all be free to access until the end of July. In this addition of OBC’s ’10 of the best’ we are bringing you a selection of 10 of our most highly cited synthesis articles. As with the other blogs, every single one will be free to access for you to enjoy until July 11th. Missed our other 10th anniversary posts? Take a look here for more of our top cited work from the past 10 years. 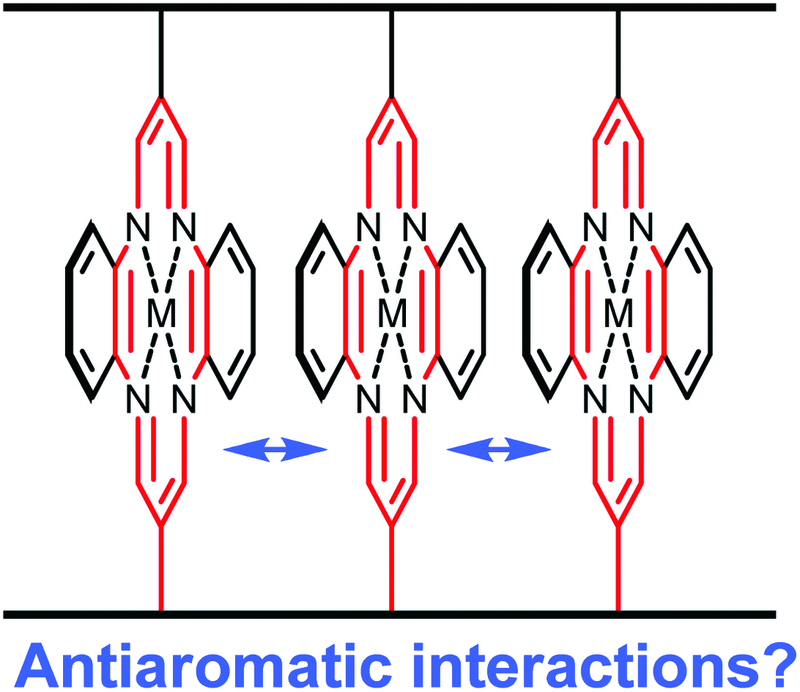 This week we’re going supramolecular as we celebrate OBC’s 10th anniversary! Below is a selection of 10 of our most highly cited articles in the area of supramolecular chemistry. Every single one will be free to access for you to enjoy for the next week. 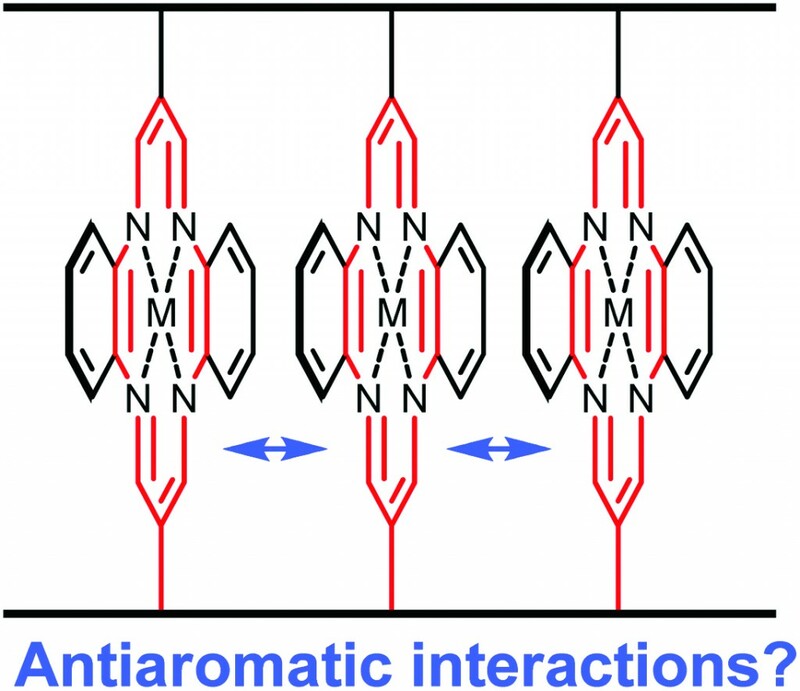 Mass spectrometric studies of non-covalent compounds: why supramolecular chemistry in the gas phase? bioorganic, catalysis, medicinal chemistry, natural products. In the latest blog of our series celebrating OBC’s 10th anniversary we bring you a selection of 10 of our most highly cited articles in the area of natural products. Every single one will be free to access for you to enjoy for the next week. Missed our other 10th anniversary posts? Take a look here for some of our top cited work, including 10 of the best catalysis articles and 10 of the best medicinal chemistry articles. Continuing our blog series celebrating OBC’s 10th anniversary we bring you a selection of 10 of our most highly cited articles in the area of medicinal chemistry. Every single one will be free to access for you to enjoy for the next week. Missed our other 10th anniversary posts? Take a look here for some of our top cited work. In this latest blog celebrating OBC’s 10th anniversary we bring to you a selection of 10 of the most highly cited articles that cover the area of catalysis. Every single one will be free to access for you to enjoy. Do you remember these articles? Have they influenced your work? Share your comments below, we would love to read them. 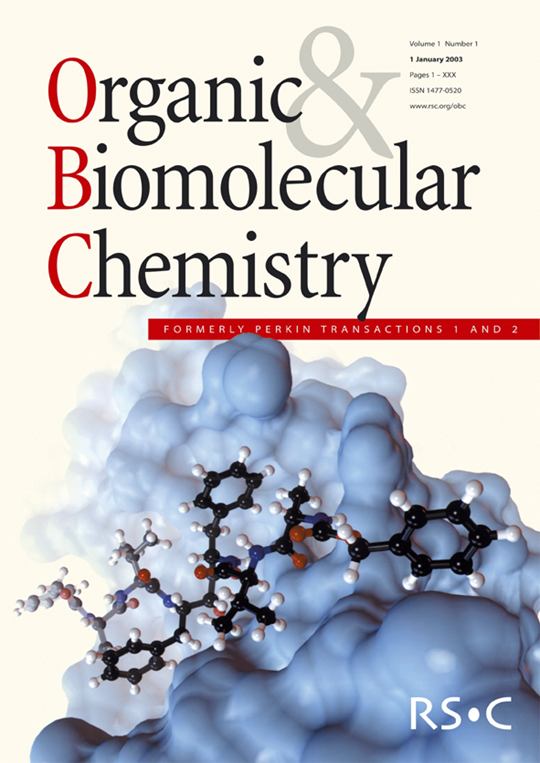 Continuing with our countdown to OBC’s 10th anniversary celebratory issue we’ve collected a selection of our most cited articles from the area of bioorganic chemistry and made them free to access for one week. These 4 HOT artilces will be FREE to access for the next 4 weeks. There are plenty more articles HERE, covering many different and interesting topics. Why not take a look, we’re sure you’ll find something you will like. In the weeks to come we will be highlighting more of the hot articles that have been published for our 10th anniversary issue so watch this space! 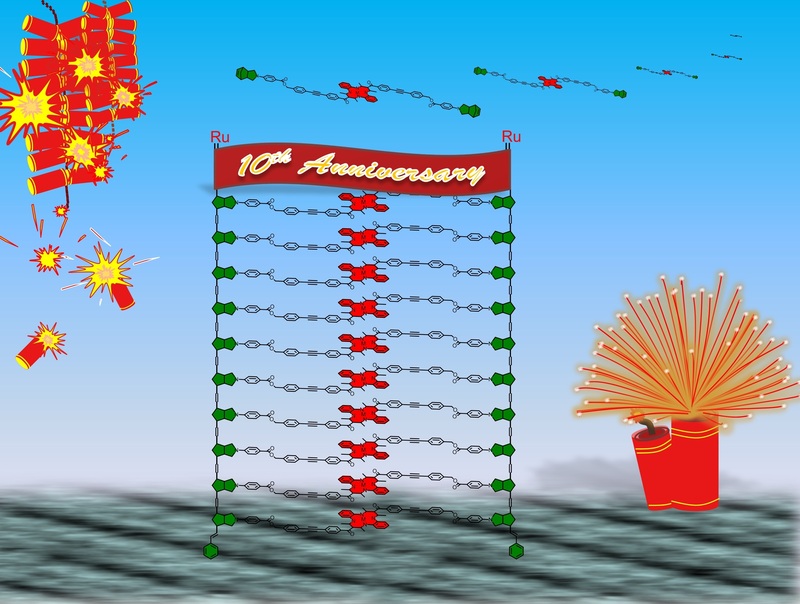 You are currently browsing the archives for the OBC 10th anniversary category.